HIT FIRST, HIT HARD, AND BE FEROCIOUS! Master a few well-honed personal security concepts. Add a realistic understanding of your enemy. Gain an understanding of fear and how you will react under pressure. 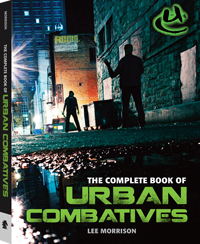 In this book, Morrison includes attribute-developing drills to help you develop these and other key combatives principles, as well as the combative mentality that must accompany every aspect of your training. The goal is to provide you with a functional game plan that can be tapered to your specific needs, whether for personal protection, or for law enforcement, military, or executive-protection duties. 2) What Does the Term Combatives Mean? 3) What's the Difference between Martial Arts and Combatives?